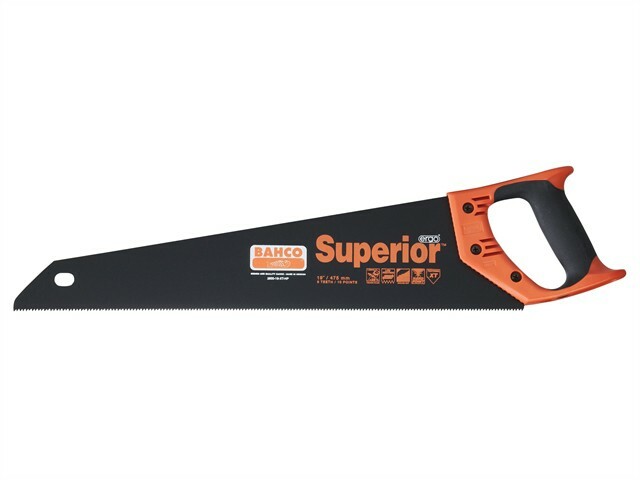 Bahco XT-HP Handsaw Superior range has a thicker blade than conventional handsaws, and is developed according to the scientific ERGO™ process. Has hardpoint teeth, and a black, friction reducing blade coating. Two component construction with softer plastic in the grip area. Gives very fast cutting on modern medium hard materials such as chipboard or plastics.